I went back with a friend this time to try what i have missed out during my first visit. There was already a few customers waiting around when we were there at about 5 pm, just before they open. I went for their Signature Fish & Chick ($12.90) listed under their Signature Combo that is for 2 pax and Hawaiian Chicken ($7.90). 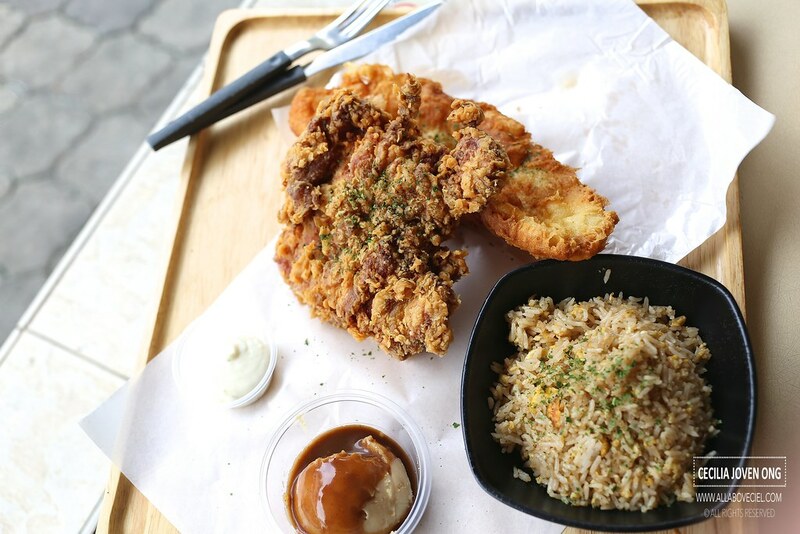 The Signature Fish & Chick is served with their signature Fried Garlic Rice and with another side of the choice or with 3 sides of the choice. I decided to have their Fried Garlic Rice since it is supposed to be special and Mashed Potato. As for the Hawaiian Chicken, i opted for Coleslaw and Cheese Pasta. 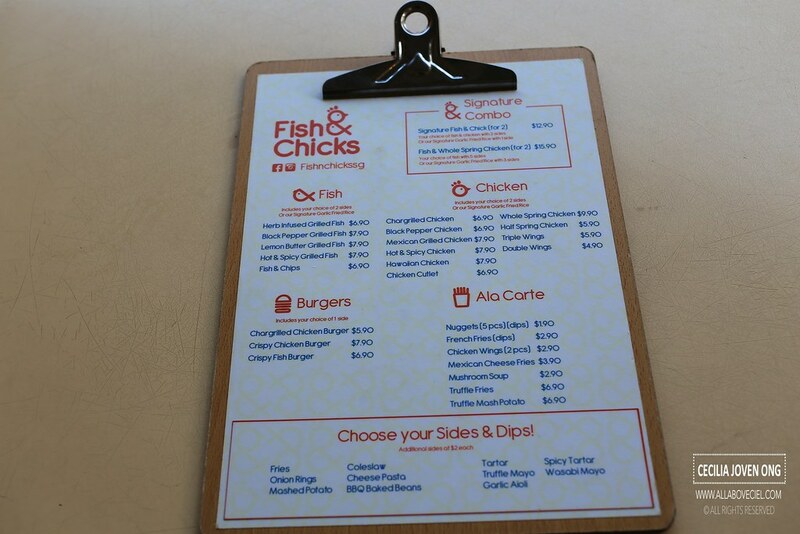 Their menu consists of fish and chicken dishes as well as burgers for selection. The Hawaiian Chicken was ready first. I brought along the pager and collected it at the Counter. I was told that the Signature Fish & Chick is not ready and i have to come back later. I waited for another 15 minutes before the pager buzzed again. 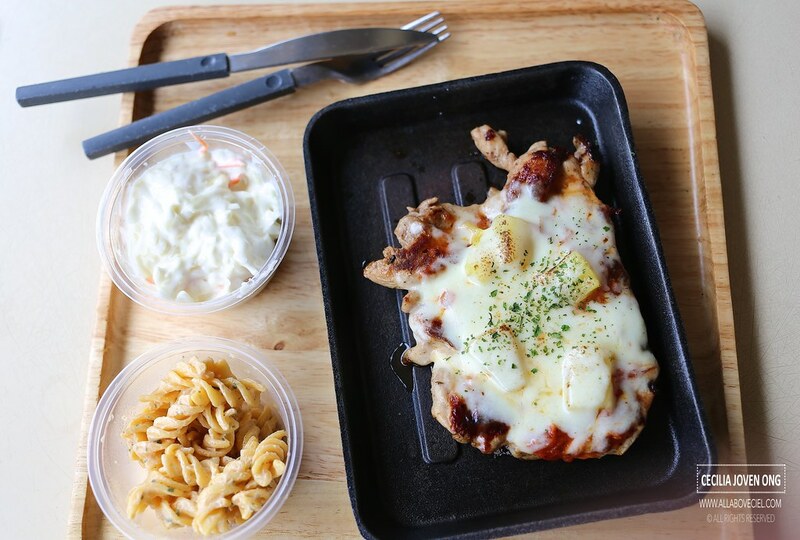 Hawaiian Chicken is none other than a piece of chargrilled chicken topped with mozzarella cheese and pineapple cubes, baked it then garnished with parsley flakes to serve. 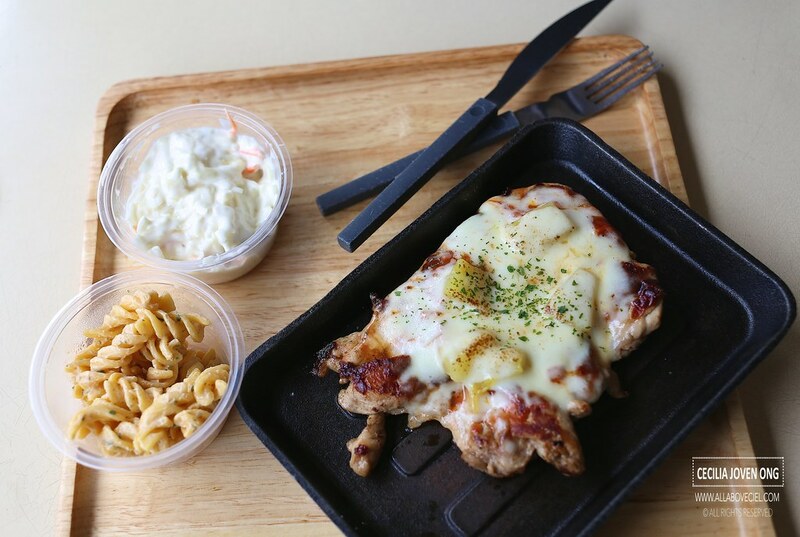 It tasted just like a Hawaiian Pizza but instead on a dough, it is on a piece of chargrilled chicken. It was kind of unique but it did not manage to impress me too much. 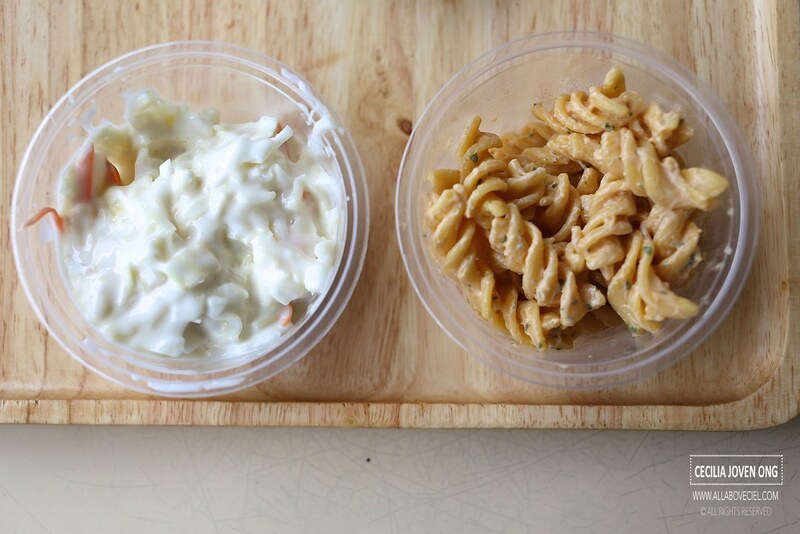 The side dishes, Cheese Pasta and Coleslaw were alright. The Cheese Pasta did not have much of the cheese taste but the texture was cooked just right. The Coleslaw fared better than the first time when had it. Their Signature Fish & Chick for 2 pax is of good value, the portion is substantial and filling to be shared amongst 2 pax. 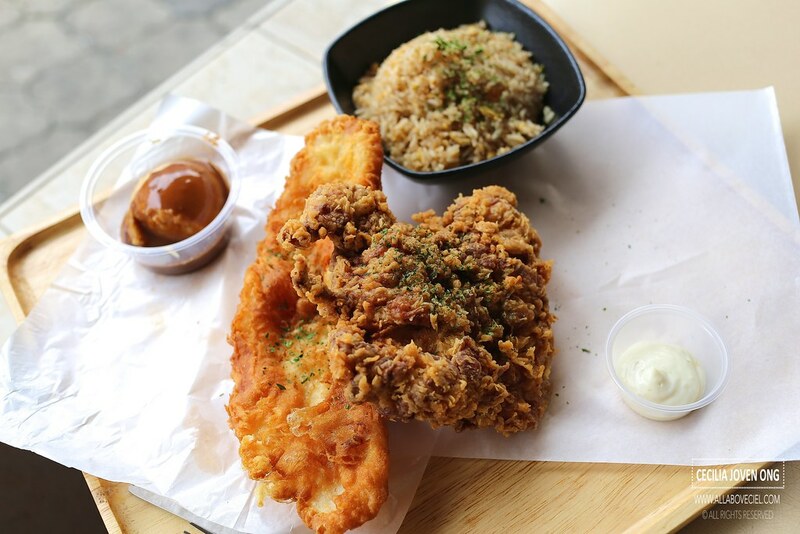 It consists of a piece of Fish Fillet and a piece of Fried Chicken with a big bowl of Garlic Fried Rice and Mashed Potato. The Fried Chicken was a big disappointment, though it was crispy but lacking in flavor, it tasted quite bland with not much seasoning. Those dried parsley flakes did not help much in enhancing the flavor. The Fish Fillet was better in comparison but it is tastier to have it with their chilli crab sauce or the salted egg sauce. 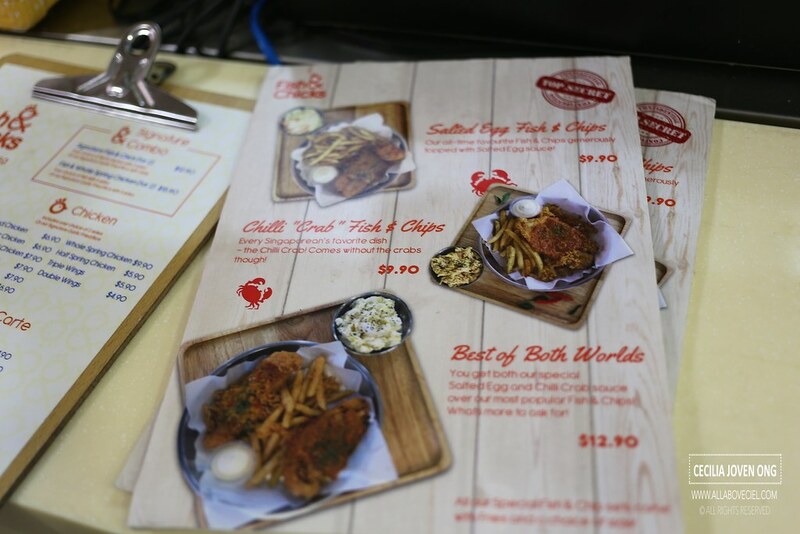 Their Best of Both Worlds that has Fish & Chips with that 2 special sauces is a better choice. The Garlic Fried Rice was quite disappointing as it did not have a distinctive taste. The Mashed Potato was just fine if had it with the brown sauce. 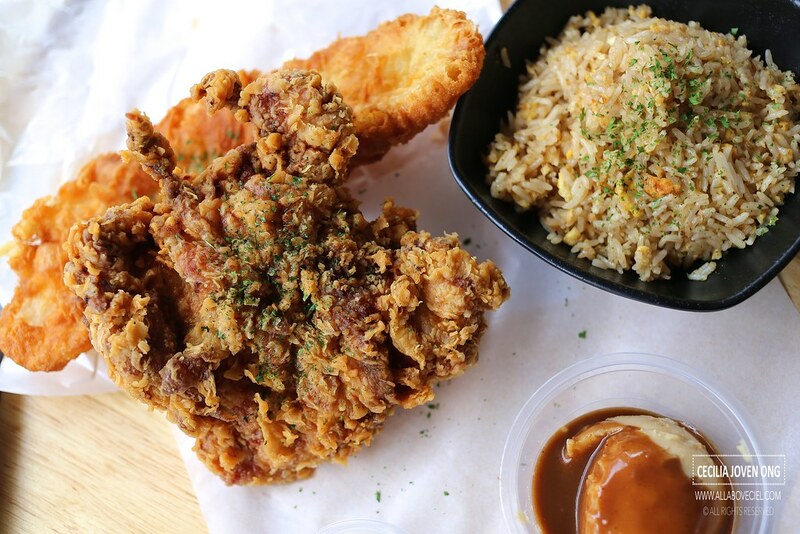 I guess their business must be too good to justify opening a new outlet in town, it is at Cineleisure Orchard and will be opening on 27 June 2016.